The Australian Shepherd Club of New England (ASCNE) is an Australian Shepherd Club of America affiliate with 200+ members. We meet 6 times a year and publish "New England Aussie," the club newsletter. The goal of ASCNE is to educate Australian Shepherd owners, both new and veteran. In addition to education, ASCNE is also concerned with protecting Aussies. We participate in a national rescue program for purebred Australian Shepherds who need new homes. All rescued dogs are temperament tested and neutered before being placed in new homes. Placements require a donation to cover the costs to the rescue organization. ASCNE holds several dog shows each year. These shows are held in Massachusetts, Connecticut, Maine, and New Hampshire. We offer competitive obedience, agility, tracking, and stock dog trials open to all breeds, as well as conformation shows open to ASCA registered Australian shepherds. We also offer Junior Showmanship competition for children up to age 18. Our shows are open to the public, providing an informal forum for people who want to learn more about Aussies, visit dogs, and chat with breeders and exhibitors. While ASCNE offers many things, above all we try to be a friendly, helpful, fun group of people with a common interest. We love our dogs, and try to do the best we can with them by sharing information and learning from one another. Membership in ASCNE is open to all persons in good standing with ASCA. 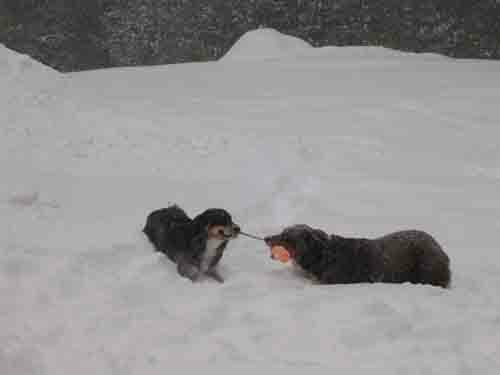 You do not have to own an Australian Shepherd to be a member. Single or family membership entitles you to a single or dual vote for a single or family membership respectively, in all club matters, elections, and access to the ASCNE E-mail group. The membership year begins January 1st and ends December 31st. You can join anytime of the year, but realize that all memberships renew Jan 1st of the following year. ASCNE membership also entitles you to participate in the year end Record of Merit (ROM) awards program. Full rules for these programs can be found on the ASCNE ROM page. Single Membership - This is for individuals. The annual dues are $15. Family Membership - This is for families that reside in the same household. The annual dues are $22.50. Junior Membership - This is for individuals under the age of 18 and not living with an ASCNE member: $7.50. Newsletter Membership - This is for individuals who want to receive the newsletter. This membership does not include voting privileges. These members do not require sponsorship. The annual dues are $12.